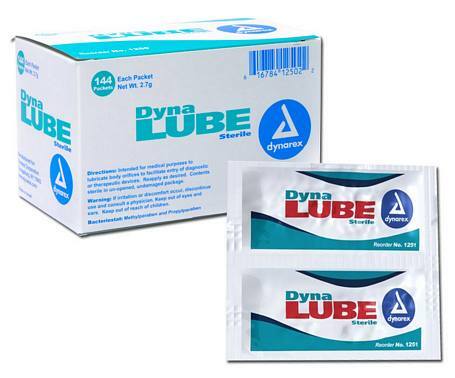 Transparent, sterile lubricant to prevent friction and damaging of delicate tissues in the body. Wipes away easily with a towel or tissue paper. Non-greasy formula leaves no tacky residue. Size: 2.7 gm packets, sold in a box of 144. Much the same as the other negative comments, this product does not spread evenly - not like a cream substance - even sometimes will partially block the holes on a 14 fr cath - the LAST thing you need. Product is terrible and doesn't serve its purpose. As one other reviewer noted, the product is gummy and doesn't spread out evenly at all. I have used four different brands of surgical lubricant and this one is at the bottom of the list. Do yourself a favor and buy something else. While the price was good; this product was definitely not comparable to other brands. The consistency of the lubricant was very unusual. it was like chopped jello. There was no fluidity to it. Most importantly, it did not adhere well to the cathater; which made for an uncomfortable experience. I definitely would not recommend this product. I was surprised as to how coarse and lumpy the product was. I am used to KY Jelly being creamy and smooth and spreads easily. This lumps up and does not cover cathether as well. The package it is in is alright.